Prozyme Powder contains enzymes that help dogs who suffer from digestive disorders, take antibiotics, or have other intestinal issues. 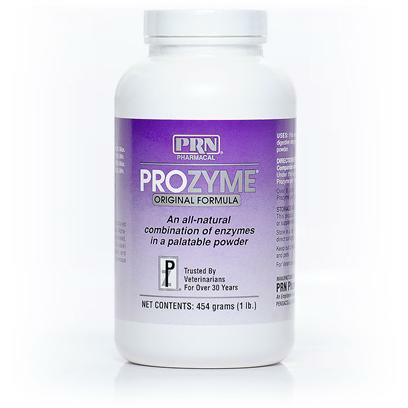 Prozyme Powder is also beneficial for senior dogs who may have weaker immune systems. 42 years of veterinary practice!! Prozyme has helped my two older German Shorthair Pointers absorb more nutrients from their food.